Boyd Gaming Gift Cards can be purchased at participating retail locations at Boyd Gaming destinations. Gift Card participating locations are subject to change. 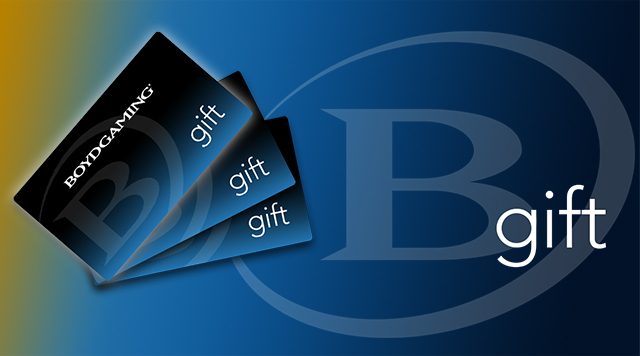 Please ask B Connected where the Boyd Gaming Gift Card can be purchased. Boyd Gaming and the IP do not tolerate discrimination of any kind, and we want all customers to feel welcome when they visit us.